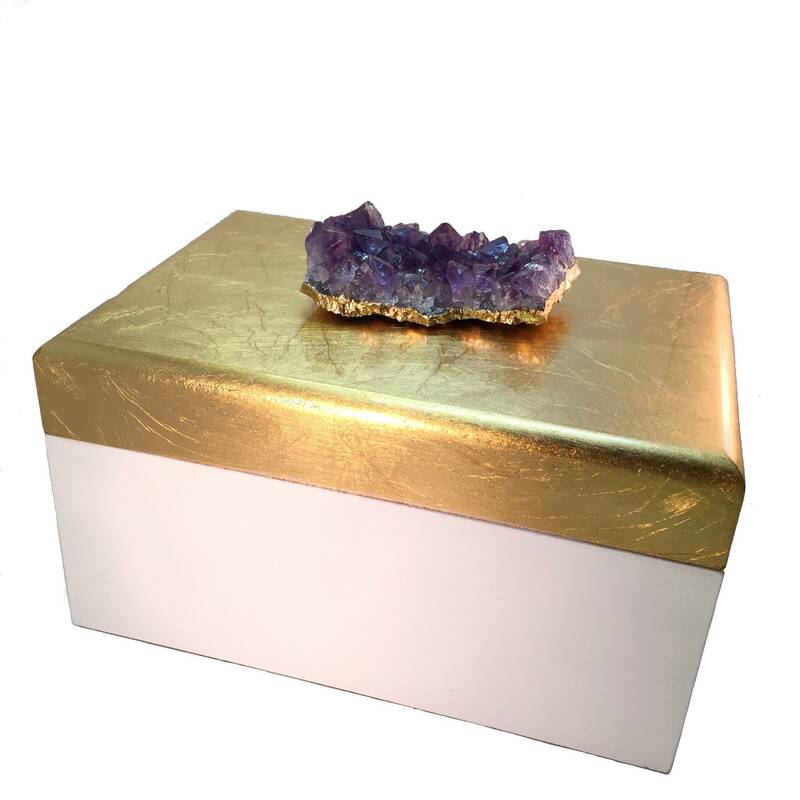 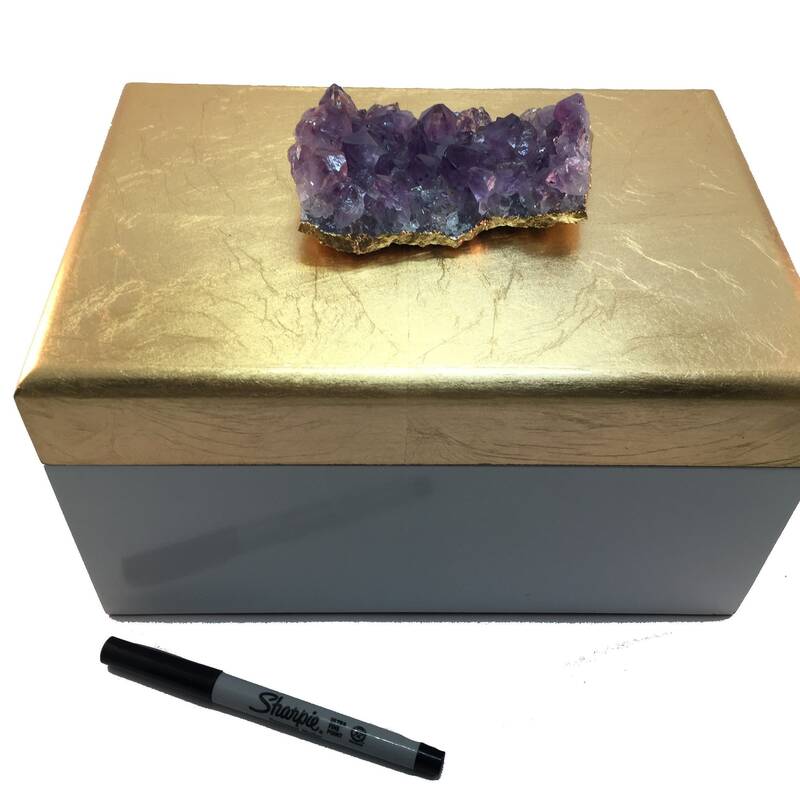 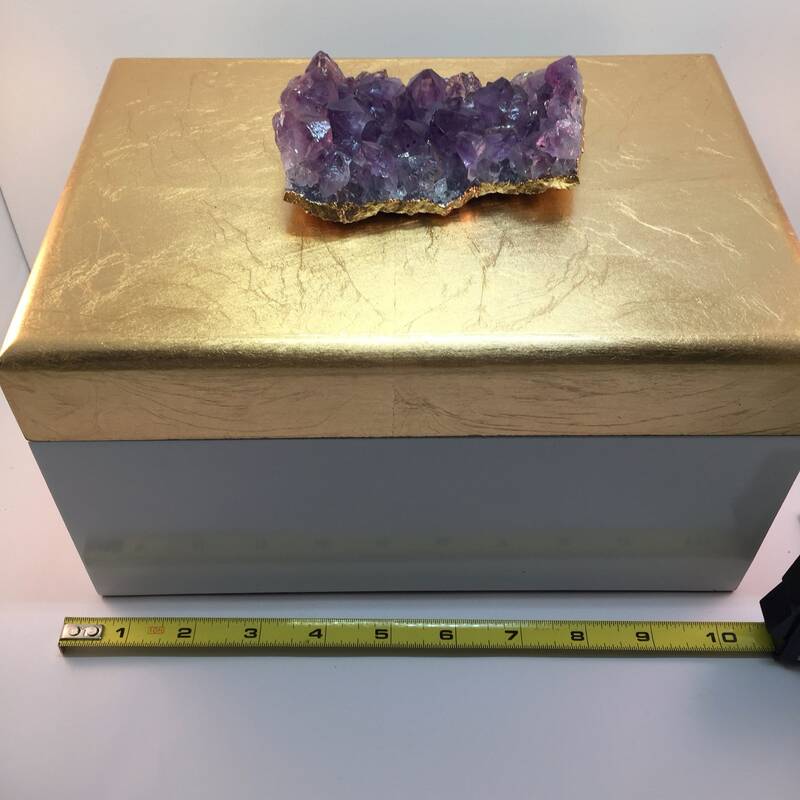 Extra large and Bold, this gold brushed box measures 10” W x 7” D x 7”H. 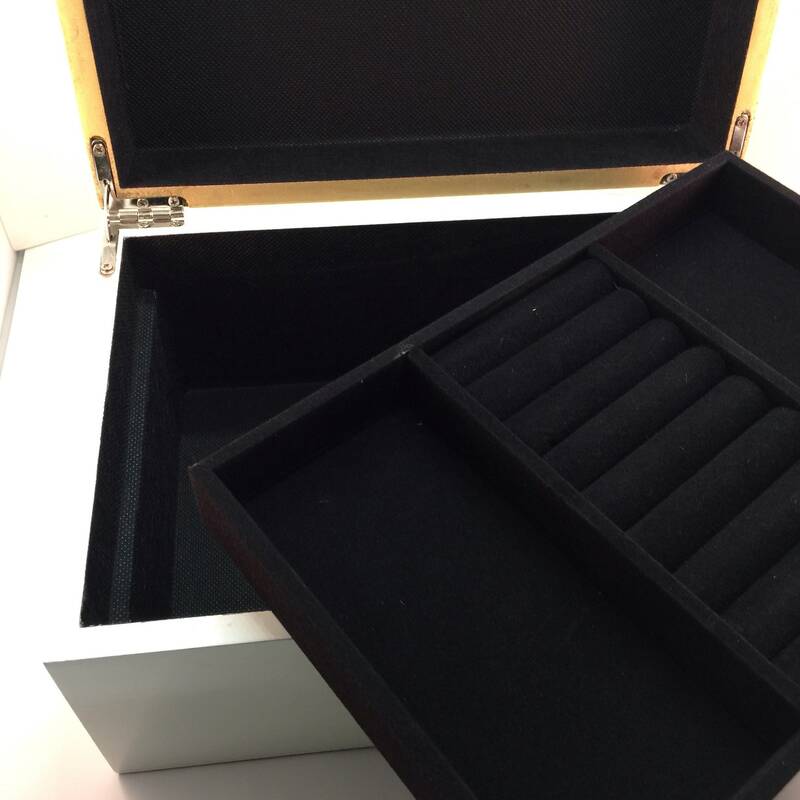 This glam jewelry box has a hinged lid and is lined in black flocking and has a removeable tray. 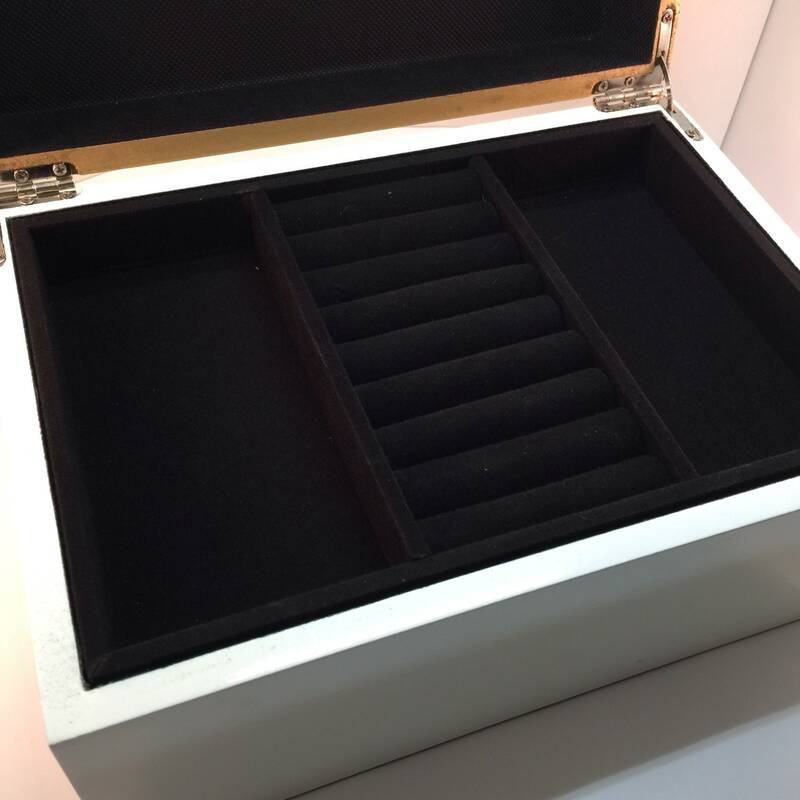 Plenty of Ring slots and compartments. 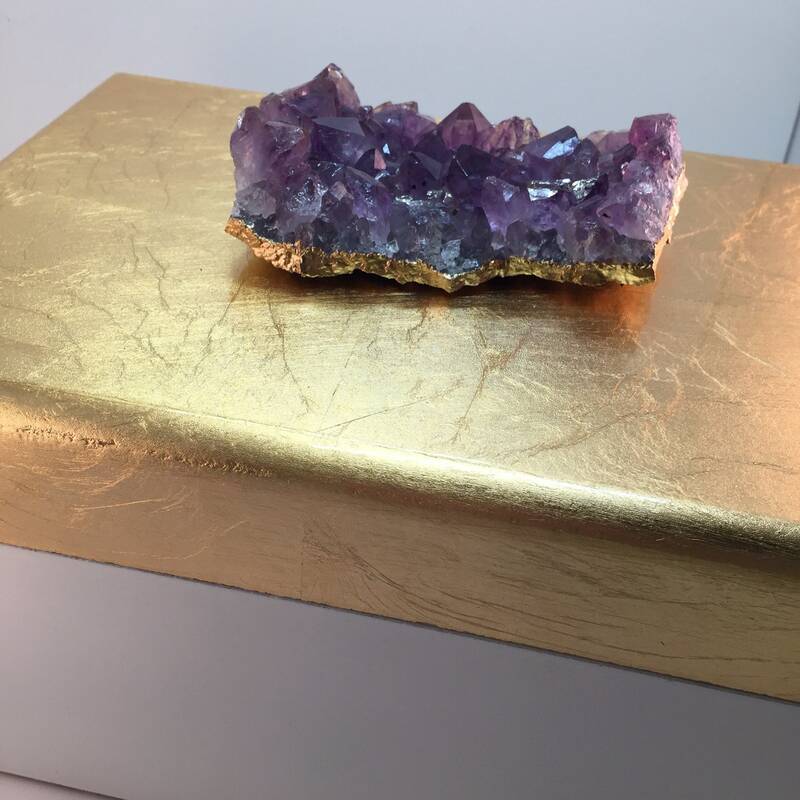 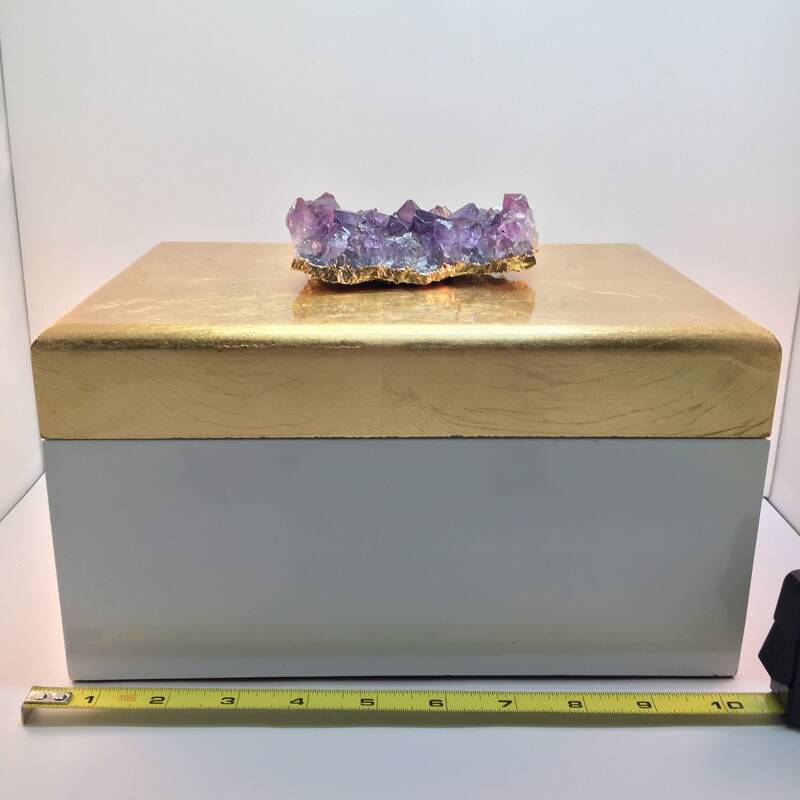 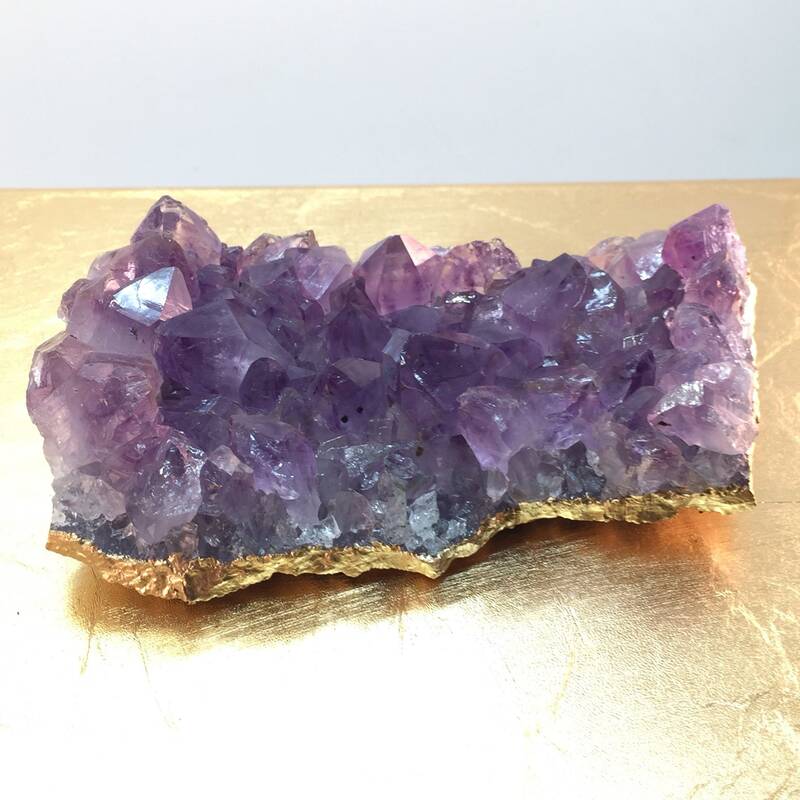 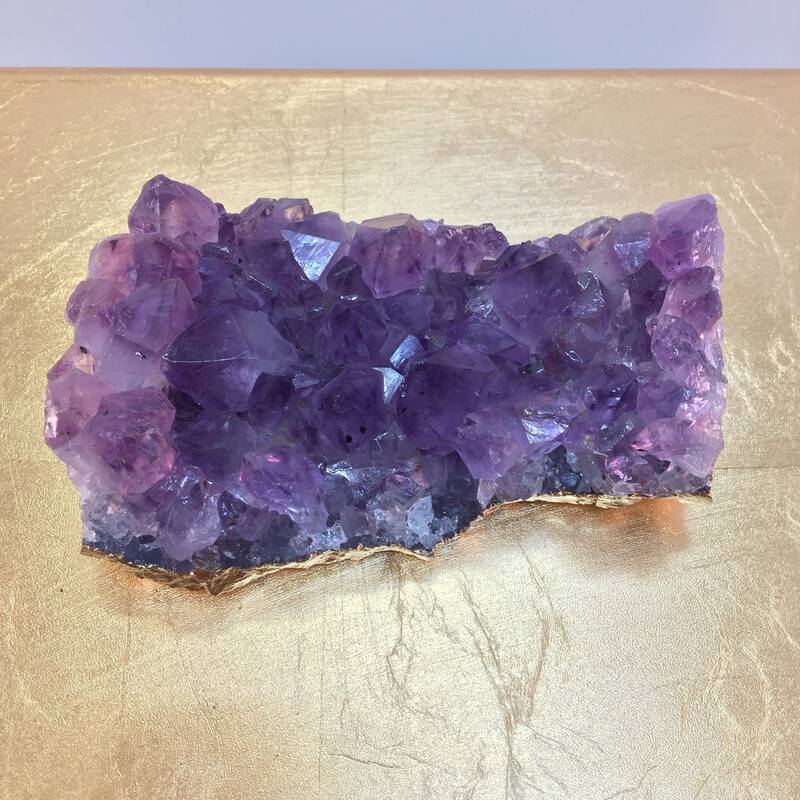 It is topped with a gorgeous large gold leaf edged Amethyst Crystal Cluster.